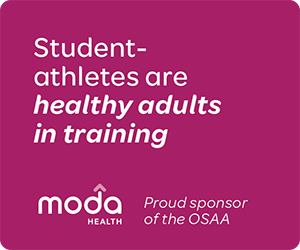 Automatic Qualifiers – Twenty-one individuals will automatically qualify for the OSAA's 24-person bracket in each of the 14 weight classes. Each league determines how they will select their allotted playoff spots. Cut-off Date – The automatic qualifiers must be determined by 10pm on Saturday, February 16. Once the qualifiers are determined, the 4th place finisher from each league will be "pooled" and a defined criterion applied to select three additional qualifiers. Automatic Qualifiers – Four individuals will automatically qualify for the OSAA's 4-person bracket in each of the 10 weight classes. Each league determines how they will select their allotted playoff spots.